Allow us to introduce our new Skills for the Future trainee Jennifer Lightbody. 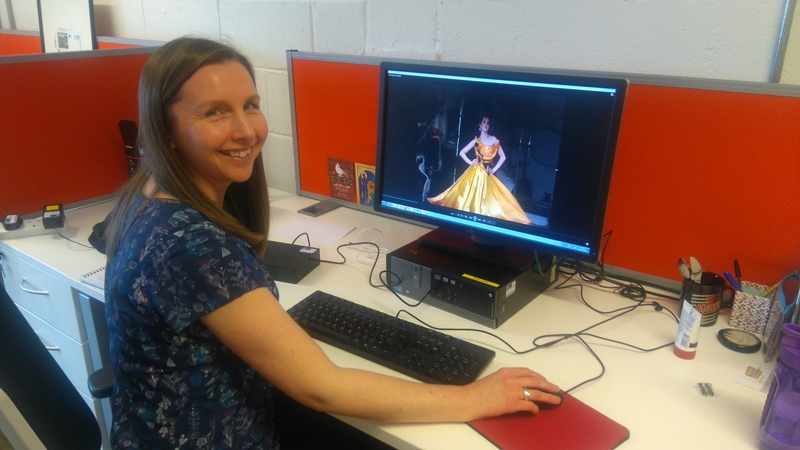 Jennifer is one of a group of seven trainees currently part of Cohort Three of the Opening Up Scotland’s Archives project with Scottish Council on Archives. She joins us here at the Archives and Collections for six months and we look forward to seeing how her project centred around GSA audiovisual material unfolds! Hi there, I’m Jennifer Lightbody and I’m the Skills for the Future Trainee based in the Archives and Collections. I’ll be here for six months – this is already week 4 so the time will fly by! Beginning to catalogue the Fashion Show AV recordings! I’ve just completed the first six months of my traineeship at Glasgow City Archives (GCA), which was a great introduction to the world of archiving and the huge range of material that archives hold. I have a background in engineering – nearly 18 years working in a shipyard – and came to archiving through a love of family history research, so I’ve been expanding my skill-set and knowledge very quickly! In my traineeship I’ve been focusing on outreach and community engagement, running a workshop and promoting the holdings via social media at GCA, and I’ll be continuing outreach here at GSA. I’ll be cataloguing audiovisual holdings, specifically films of fashion shows from the 1970s and 80s, and sharing clips of these online. I’ve already been watching some of the films and getting a real feel for the work that has gone into the shows, and the wide variety of styles, shown by the images here from the 1986 fashion show film. I’m looking forward to working with staff and alumni to find out more information about the models and the students who designed the garments, plus those behind the camera. Still frame image from 1986 GSA Fashion Show film footage. In my first few weeks here, I’ve had a really varied introduction to the Archives and Collections, and to the School itself. I helped set up the 70 years of fashion shows at GSA exhibition (showing in the Reid Building until 26th March) and had the privilege of speaking to some of the former students and models at the launch event. I’ve also toured the Mackintosh building in its renovation phase, so it was interesting to see the way in which it is being restored (with an interest of the engineering behind it), and also the discoveries that are being made during the restoration. The traineeship is a great opportunity to learn about the workings of the archive, including how we can help our readers and support projects across the School. 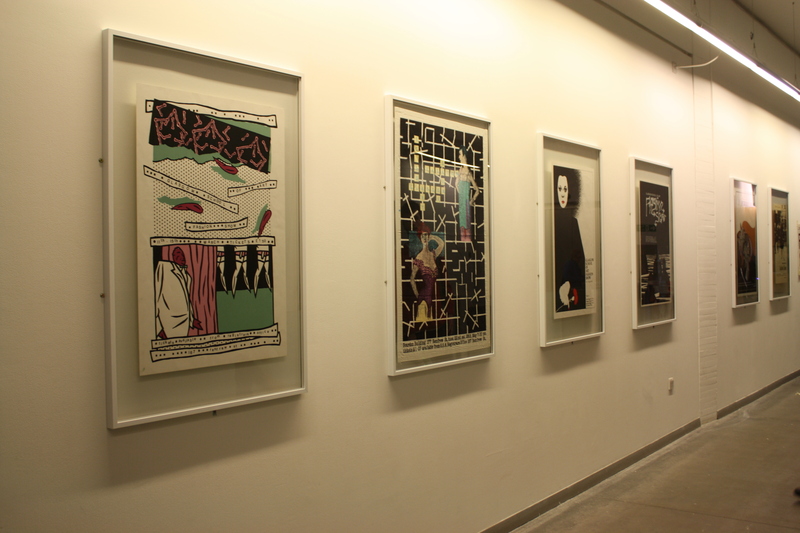 It has already shown me the range of work done in an archive, from helping hang posters for exhibitions, to receiving donations of garments from alumni and linking different types of archival material to build a bigger picture of life at the School. I’m looking forward to the next few months and the wide variety of work they will bring! Keep an eye on the blog to hear more from Jennifer throughout her project!